How can I remove a coffee stain from my carpet? Coffee is a drink enjoyed around the world. We love its flavour, it’s alertness and pretty much everything about it. As soon as it hits our carpets however we are in absolute turmoil. Coffee can be one of the most difficult products to remove from a carpet. It has an ability to hold on to the fibres even when the carpet has been scrubbed and cleaned. There was a time when cleaners and carpet cleaners would be in constant terror of having to tackle a coffee stain on a light coloured carpet. As time went on, new solutions were found that enabled coffee stains to be reduced drastically. As further time has gone, we now have the ability to completely remove coffee stains. 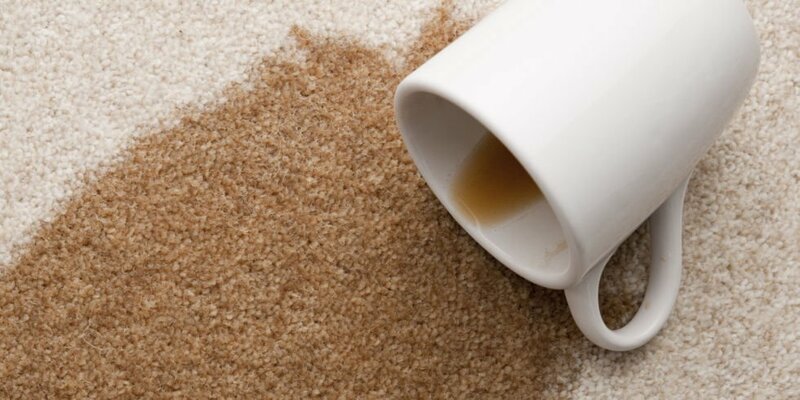 When you were trying to remove coffee from your carpets you must run a number of tests to ensure that you choose the right solution to tackle the coffee stain. The first thing you must be aware of is that type of carpet you are about to clean. As mentioned previously in the blog, there are two types of carpets. You have a tufted carpet and a weaved carpet. There are solutions which can be used for either type of carpet. You must also check whether the natural colours of the carpet will run using a solution. There are tests which can be run to find this out. Finally, you must find out what material that carpet has been made from. There are solutions catering to different types of carpet fibre. It is important that you take these tests into account when cleaning your carpet. As the incorrect use of carpet cleaning solutions can result in damaging your carpet permanently. At fresher carpets, we run our rigorous 15 point checking system. This is checking system make sure we leave no stone unturned. We taking all information regarding the carpet before we do any type of cleaning to it. So if you get a coffee stain on your carpet, give us a call. Our team of agents available to help you with any information or booking one of our technicians to come to the property. How many times can you clean your carpets?